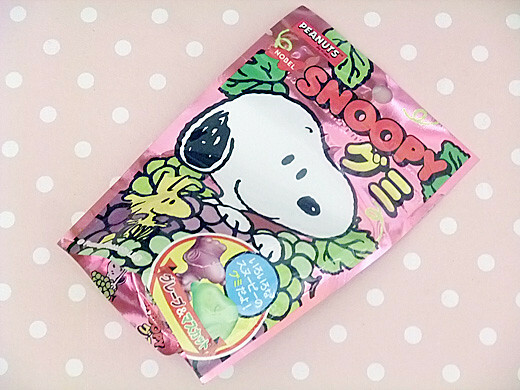 Grape and muscat flavor gummi candies became cute Snoopy and Woodstock. 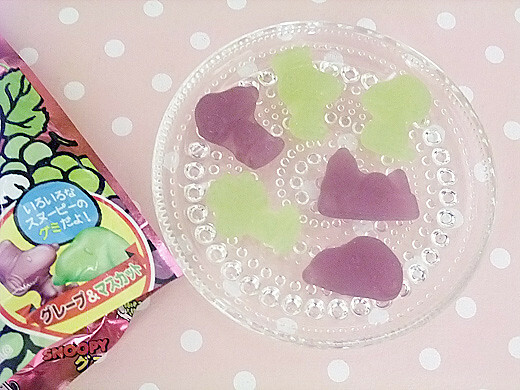 They smiles from fruit mountain on the package. Happy to bring this anywhere.